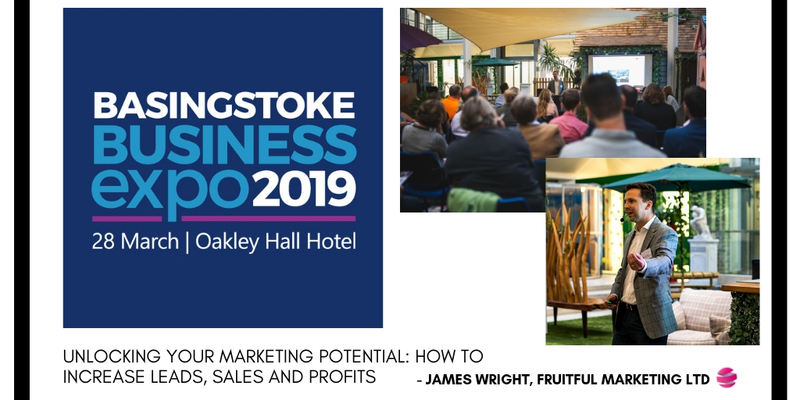 For this year’s Basingstoke Business Expo, Fruitful Marketing founder, James Wright will be one of the keynote speakers delivering a fantastic talk on ‘Unlocking Your Marketing Potential: How To Increase Leads, Sales and Profits’. James will be highlighting a unique methodology of Strategy > Implementation > Analysis, in order to achieve success and get your high-quality offering heard, that often is a best-kept secret! Whether a start-up, sole trader, SME or large corporate, these principals can be applied to maximise the ROI (Return on Investment) from your marketing spend. Attendees will leave the keynote seminar with enhanced marketing confidence, fresh marketing ideas and some of the latest marketing trends for 2019. With only 30 minutes and yet so much to cover and share, Fruitful MarketingⓇ will offer attendees a FREE marketing checklist, a copy of the slides and digital workbooks to apply these learnings to your business. 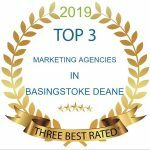 The Basingstoke Business Expo is an ultimate networking event for businesses looking to grow and increase their success. There will be an array of seminars, speed networking and inspirational keynote speakers, which James will be part of. Not only this, there will be a huge variety of exhibitors showcasing the top businesses locally and regionally. It has always been a passion of James’ to provide businesses with expert marketing techniques to help them achieve their full potential, and so regularly hosts seminars and speaks at events in order to do so. This will be a fantastic event as there will be so many businesses, from startups to SMEs, all looking to expand and develop by connecting with others. Don’t forget to register for FREE and come along to James’ talk to increase your marketing confidence, or if you are facing any marketing challenges then speak with the friendly Fruitful MarketingⓇ team all day at stand 17. It will not be one to miss!